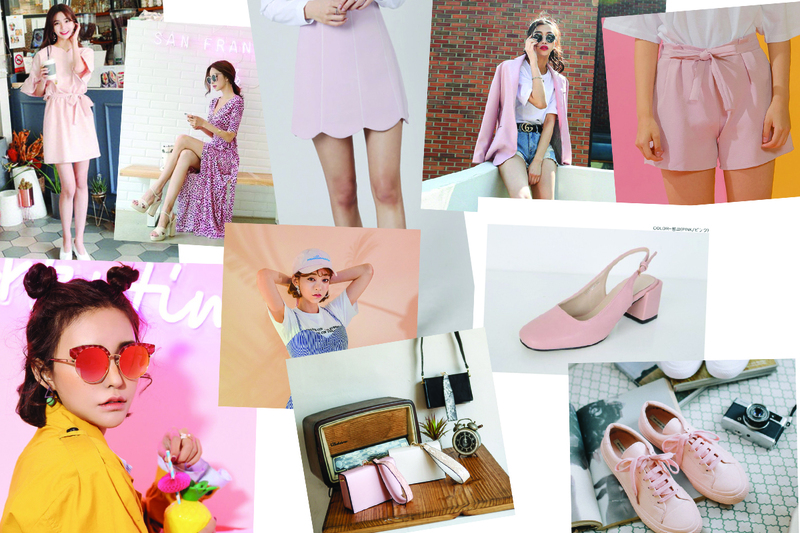 Chances are you’ve been seeing Millennial Pink around this season, without even realizing it. And it is not just one shade. In fact, the color trend embraces a range of shades falling on a spectrum from peach to rouge. Forget the girly and cutesy stereotypes you used to associate with pink. Daring, fierce and confident, pink is now an updated representation of femininity. Obviously, the trend isn’t going anywhere, at least for 2017. We don’t always have to wear complicated outfits to stand out on the street. Read on for a hand-picked selection of blush styles that do not blend in with the crowd. Browsing all those sugary-sweet swatches makes me nostalgic about art class. It is a no-fuss style that feels like my favorite tee, except that it comes with soft ruffles, waist sash and a notched neckline. The effortless piece works for all occasions. Top it off with a baseball cap and white sneakers for a casual touch. For a dress I can wear from day to night, this fierce maxi is a bold, alluring option. The plunging V-neckline makes a sultry start, followed by a wrap front and flowy skirt. Simply add strappy sandals and you’re ready for a brunch date! A versatile separate that can be worn in the office and for a night in town, this sleek, tailored mini skirt impresses with a cute scalloped hem. Top with a crisp button-down and you’re set. While black blazers are undeniably and effortlessly chic, it is also fun to see the staple’s take on color trends. This soft-pink edition manages to add a sweet touch to even the toughest ensembles. I can wear this with anything from leather dresses to denim cutoffs, and still wouldn’t look out of place in the office. This is the perfect pair of Millennial Pink shorts to team with navy blue wellies as rainy season approaches. The waist sash adds a nice, dressy touch. With gradient lenses, gold-tone hardware and leopard print, these sassy hot-pink sunglasses offer everything you’d expect from a statement accessory. They’ll definitely make you stand out from the crowd, spicing up everything from all-black outfits to bikinis. From casual weekend looks to gym gear, a handy baseball cap just look just right atop. I love this pastel graphic option with a cheeky “Millionaire” motif at the front. This sleek, minimalist box clutch is in this season’s hottest color and comes with a faux snakeskin wrist strap. Count on this carrier to hold all your belongings without being bent out of shape, while putting you one step ahead of the crowd. Fashioned in pale pink with a slingback, this style has all it takes for anyone to take the low-heel plunge. Go for a thigh-skimming mini skirt when you to maximize the leggy look. Upgrade your sneakers with this comfortable blush pink edition. Soft to touch and functional, they pair with anything in the closet, as sneakerheads already know.